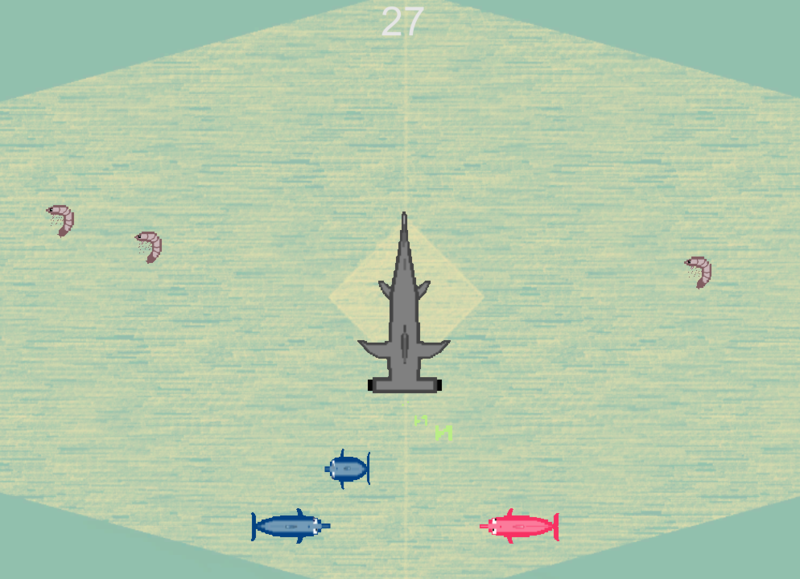 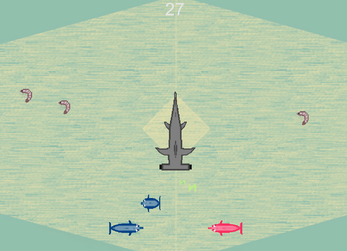 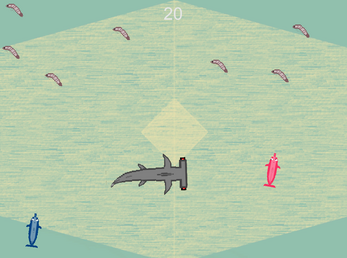 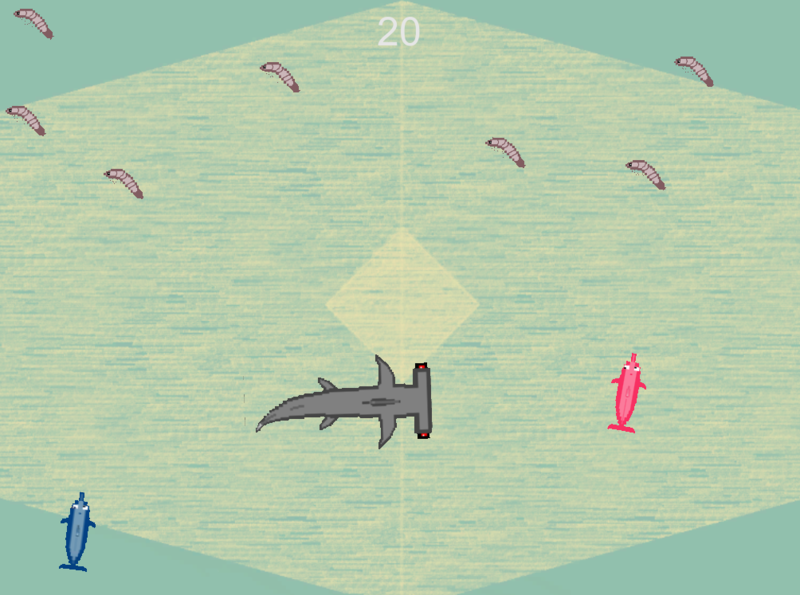 A 30 second two player versus arcade game in which the players try to avoid being eaten by the shark by eating speed-boosting shrimp. 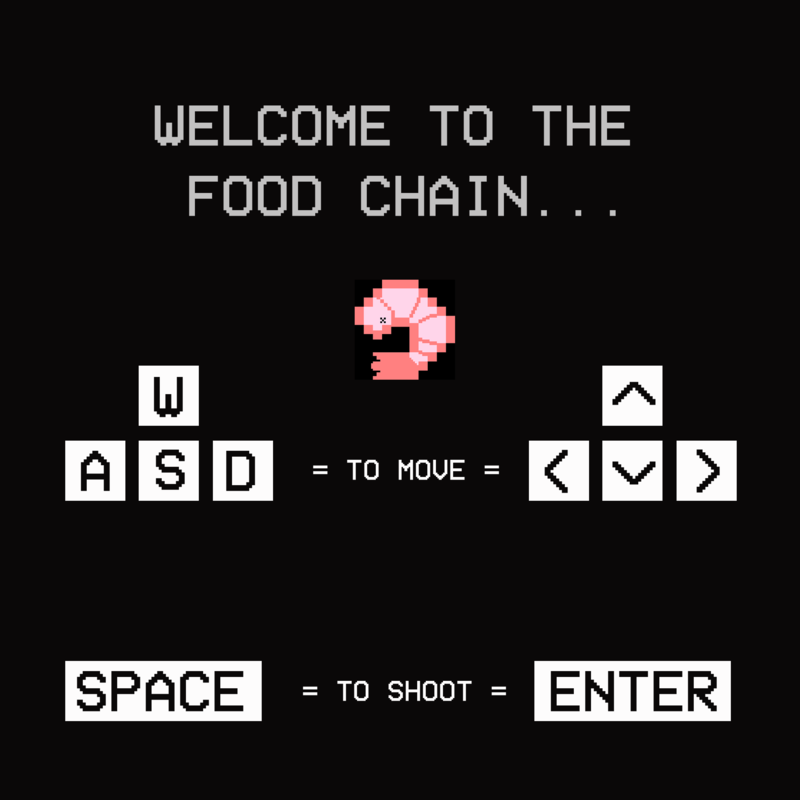 Special thanks to Sean Bouchard. Double-click on icon to open game and wait three seconds for game to start. 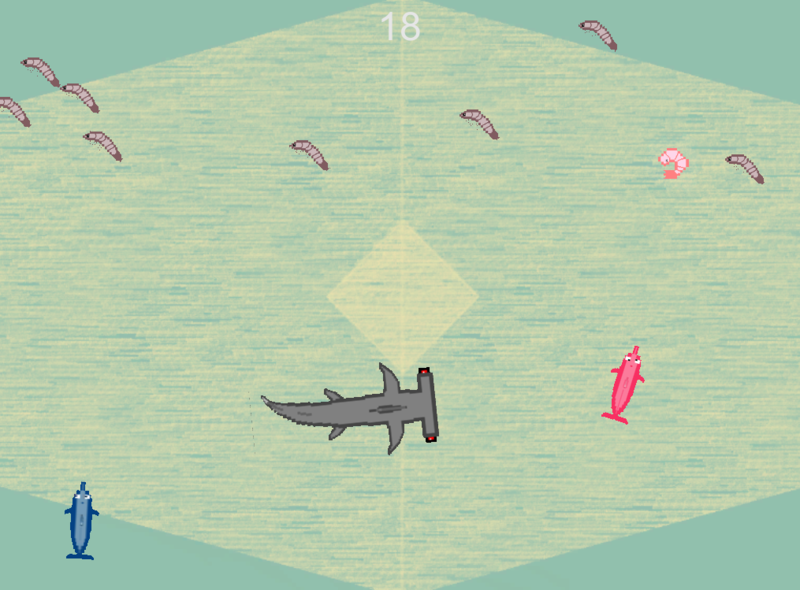 To Open Mac Version: Right click to open and select windowed if needed.